I worked with this and the music 6 months ago but I hadn't completed the chapter - so here is the whole chapter. Can children understand politics and power? I really doubt that this chapter should be presented to children on flannel board. My God give them deaf ears. For these stories are unsuitable for children. Many will fall into the error that Eliab points out, schadenfreude. But I must admit, it is a better story and a better song than I ever imagined from the flannel boards. I chose a new gloss for אנושׁ, soldier. Thoughts? Soldiers are mortals (mortal is my usual gloss). And man is not suitable. One day I will publish my English Hebrew Hebrew English glossary for the 300,000+ words in the corpus. d.v. גָּבְה֕וֹ שֵׁ֥שׁ אַמּ֖וֹת וָזָֽרֶת 4 And a man came forth between them out of the Philistine camps, Goliath his name, of Gath. וּמִשְׁקַל֙ הַשִּׁרְי֔וֹן חֲמֵשֶׁת־אֲלָפִ֥ים שְׁקָלִ֖ים נְחֹֽשֶֽׁת 5 C A helmet of brass on his head, he was clothed with scaled chain mail. הֲל֧וֹא אָנֹכִ֣י הַפְּלִשְׁתִּ֗י וְאַתֶּם֙ עֲבָדִ֣ים לְשָׁא֔וּל בְּרוּ־לָכֶ֥ם אִ֖ישׁ וְיֵרֵ֥ד אֵלָֽי 8 And he stood and he called to the ranks of Israel and said to them, Why do you come out to arrange for battle? וְאִם־אֲנִ֤י אֽוּכַל־לוֹ֙ וְהִכִּיתִ֔יו וִהְיִ֤יתֶם לָ֙נוּ֙ לַעֲבָדִ֔ים וַעֲבַדְתֶּ֖ם אֹתָֽנוּ 9 If he is able to fight with me and he strikes me, then we will become your servants. תְּנוּ־לִ֣י אִ֔ישׁ וְנִֽלָּחֲמָ֖ה יָֽחַד 10 And the Philistine said, I myself reproach the ranks of Israel this day. וְשֵׁ֣ם ׀ שְׁלֹ֣שֶׁת בָּנָ֗יו אֲשֶׁ֤ר הָלְכוּ֙ בַּמִּלְחָמָ֔ה אֱלִיאָ֣ב הַבְּכ֗וֹר וּמִשְׁנֵ֙הוּ֙ אֲבִ֣ינָדָ֔ב וְהַשְּׁלִשִׁ֖י שַׁמָּֽה 13 And the three grown-up children of Jesse went. They went after Saul to war. וְאֶת־אַחֶ֙יךָ֙ תִּפְקֹ֣ד לְשָׁל֔וֹם וְאֶת־עֲרֻבָּתָ֖ם תִּקָּֽח 18 ~ And these ten sharp cheeses you bring to the chief of the thousand. וַיָּבֹא֙ הַמַּעְגָּ֔לָה וְהַחַ֗יִל הַיֹּצֵא֙ אֶל־הַמַּ֣עֲרָכָ֔ה וְהֵרֵ֖עוּ בַּמִּלְחָמָֽה 20 And David rose up early in the morning and he abandoned the flock with a keeper, and he bore and went as Jesse had commanded. וַיִּשְׁמַ֖ע דָּוִֽד 23 B And he was speaking with them and behold the man came up, Goliath the Philistine, his name, of Gath, from between the Philistine ranks, and he spoke according to these words. וְֽ֠הָיָה הָאִ֨ישׁ אֲשֶׁר־יַכֶּ֜נּוּ יַעְשְׁרֶ֥נּוּ הַמֶּ֣לֶךְ ׀ עֹ֣שֶׁר גָּד֗וֹל וְאֶת־בִּתּוֹ֙ יִתֶּן־ל֔וֹ וְאֵת֙ בֵּ֣ית אָבִ֔יו יַעֲשֶׂ֥ה חָפְשִׁ֖י בְּיִשְׂרָאֵֽל 25 And the men of Israel said: Have you seen this man that has come up? For to reproach Israel, he comes up. כִּ֣י מִ֗י הַפְּלִשְׁתִּ֤י הֶֽעָרֵל֙ הַזֶּ֔ה כִּ֣י חֵרֵ֔ף מַעַרְכ֖וֹת אֱלֹהִ֥ים חַיִּֽים 26 And said David to the soldiers standing with him, saying, What will be done for someone that strikes this Philistine and turns aside reproach from Israel? וַיִּֽחַר־אַף֩ אֱלִיאָ֨ב בְּדָוִ֜ד וַיֹּ֣אמֶר ׀ לָמָּה־זֶּ֣ה יָרַ֗דְתָּ וְעַל־מִ֨י נָטַ֜שְׁתָּ מְעַ֨ט הַצֹּ֤אן הָהֵ֙נָּה֙ בַּמִּדְבָּ֔ר אֲנִ֧י יָדַ֣עְתִּי אֶת־זְדֹנְךָ֗ וְאֵת֙ רֹ֣עַ לְבָבֶ֔ךָ כִּ֗י לְמַ֛עַן רְא֥וֹת הַמִּלְחָמָ֖ה יָרָֽדְתָּ 28 And Eliab, his older brother, heard when he spoke to the soldiers. הֲל֖וֹא דָּבָ֥ר הֽוּא 29 And David said, What have I done now? וַיְשִׁבֻ֤הוּ הָעָם֙ דָּבָ֔ר כַּדָּבָ֖ר הָרִאשֽׁוֹן 30 And he circled from next to him to be in the forefront of another and said a word like this. עַבְדְּךָ֣ יֵלֵ֔ךְ וְנִלְחַ֖ם עִם־הַפְּלִשְׁתִּ֥י הַזֶּֽה 32 And David said to Saul, let no human heart miscarry over him. וַיָּ֣קָם עָלַ֔י וְהֶחֱזַ֙קְתִּי֙ בִּזְקָנ֔וֹ וְהִכִּתִ֖יו וַהֲמִיתִּֽיו 35 then I go out after it and I strike it and I deliver from its mouth. וַיֹּ֨אמֶר שָׁא֤וּל אֶל־דָּוִד֙ לֵ֔ךְ וַֽיהוָ֖ה יִהְיֶ֥ה עִמָּֽךְ 37 And David said, Yahweh who delivered me from the hand of the lion or the hand of the bear he, he will deliver me from the hand of this Philistine. וַיְקַלֵּ֧ל הַפְּלִשְׁתִּ֛י אֶת־דָּוִ֖ד בֵּאלֹהָֽיו 43 And the Philistine said to David, Am I a dog for you to come to me with sticks? וַיִּרְא֧וּ הַפְּלִשְׁתִּ֛ים כִּֽי־מֵ֥ת גִּבּוֹרָ֖ם וַיָּנֻֽסוּ 51 And David raced and stood by the Philistine and he took his sword and drew it from its sheath and he rendered him lifeless and he cut off his head with it. וַֽיִּפְּל֞וּ חַֽלְלֵ֤י פְלִשְׁתִּים֙ בְּדֶ֣רֶךְ שַׁעֲרַ֔יִם וְעַד־גַּ֖ת וְעַד־עֶקְרֽוֹן 52 And the soldiers of Israel and Judah arose and shouted in triumph and pursued the Philistines until you enter the gorge and to the gates of Eqron. וַיֹּ֣אמֶר אַבְנֵ֔ר חֵֽי־נַפְשְׁךָ֥ הַמֶּ֖לֶךְ אִם־יָדָֽעְתִּי 55 And as Saul saw David go forth to converge with the Philistine, he said to Abner, chief of the host, whose son is this lad, Abner? וְרֹ֥אשׁ הַפְּלִשְׁתִּ֖י בְּיָדֽוֹ 57 And as David returned from striking the Philistine, then Abner took him and brought him into the presence of Saul. וַיֹּ֣אמֶר דָּוִ֔ד בֶּֽן־עַבְדְּךָ֥ יִשַׁ֖י בֵּ֥ית הַלַּחְמִֽי 58 And Saul said to him, Whose son are you, lad? Gradually knocking of at least 1 chapter from books I haven't yet started. It's easy to forget that when the text says month, it also means new moon. Only here and in Nehemiah 7:72 do I see נגה (touch) preceding חדשׁ. וַיַּעֲל֨וּ עָלָ֤יו עֹלוֹת֙ לַֽיהוָ֔ה עֹל֖וֹת לַבֹּ֥קֶר וְלָעָֽרֶב 3 And they prepared the altar on its bases because of the horror over them from the people of the lands. וְכָל־הָעָ֡ם הֵרִיעוּ֩ תְרוּעָ֙ה גְדוֹלָ֤ה בְהַלֵּל֙ לַֽיהוָ֔ה עַ֖ל הוּסַ֥ד בֵּית־יְהוָֽה 11 And they answered in praising and thanksgiving to Yahweh, for it is good, for his kindness is forever over Israel. 2 Chronicles 12:9-12 and 1 Kings 14:25-29 share 116 or their 139 words, 21 stems in sequence of which several are repeated multiple times. (I could show you the table, but it is pretty obvious without it.) Clearly one is copied from the other in a slightly different context. Whenever I do a chapter of Genesis to Kings, it is often that some part of Chronicles is translated quite accurately by my automated routine. The differing words also stand out. And fortunately even some of the obscure names are caught. The routine works with up to six consecutive words at a time and also resolves the domain and subdomain at the same time. Saves lots of hunting and pecking. I will have to slow down in December so I am rushing ahead now. Maybe I will schedule some at some point for the holidays. But maybe not... I can actually reach my home computer with the database from anywhere in the world, so I may dip my toes into translation rather than snorkeling in the south Pacific (but it's not likely - too many babies to care for and play with on the beach). And even if I don't finish this project, there is enough of it done that it could be continued by someone else if it is at all worth while. I am curious also as to why Rehoboam is coupled with 'all Israel'. R. ruled in the South (Judah) and not in the north (Israel). It is early days in the divided kingdoms, so may there's the excuse for still using Israel to refer to all the land. וַיֹּ֨אמֶר לָהֶ֜ם כֹּה־אָמַ֣ר יְהוָ֗ה אַתֶּם֙ עֲזַבְתֶּ֣ם אֹתִ֔י וְאַף־אֲנִ֛י עָזַ֥בְתִּי אֶתְכֶ֖ם בְּיַד־שִׁישָֽׁק 5 And Shemaiah the prophet came to Rehoboam and the chiefs of Judah that were gathered at Jerusalem in the face of Shishaq. וַיִּקַּח֙ אֶת־מָגִנֵּ֣י הַזָּהָ֔ב אֲשֶׁ֥ר עָשָׂ֖ה שְׁלֹמֹֽה 9 So Shishaq the king of Egypt came up to Jerusalem and he took the treasuries of the house of Yahweh and the treasuries of the house of the king. He took it all. בָּ֤אוּ הָרָצִים֙ וּנְשָׂא֔וּם וֶהֱשִׁב֖וּם אֶל־תָּ֥א הָרָצִֽים 11 And it happened often. The king went into the house of Yahweh. וְגַם֙ בִּֽיהוּדָ֔ה הָיָ֖ה דְּבָרִ֥ים טוֹבִֽים 12 And when he subdued himself, the anger of Yahweh turned from him and did not destroy to consume. כִּ֣י בֶן־אַרְבָּעִ֣ים וְאַחַ֣ת שָׁנָה֩ רְחַבְעָ֨ם בְּמָלְכ֜וֹ וּֽשֲׁבַ֨ע עֶשְׂרֵ֥ה שָׁנָ֣ה ׀ מָלַ֣ךְ בִּֽירוּשָׁלִַ֗ם הָ֠עִיר אֲשֶׁר־בָּחַ֨ר יְהוָ֜ה לָשׂ֨וּם אֶת־שְׁמ֥וֹ שָׁם֙ מִכֹּל֙ שִׁבְטֵ֣י יִשְׂרָאֵ֔ל וְשֵׁ֣ם אִמּ֔וֹ נַעֲמָ֖ה הָֽעַמֹּנִֽית 13 And the king Rehoboam was encouraged in Jerusalem and reigned. וּמִלְחֲמ֧וֹת רְחַבְעָ֛ם וְיָרָבְעָ֖ם כָּל־הַיָּמִֽים 15 And the words of Rehoboam, the former and the latter, are they not written in the words of Shemaiah the prophet, and of Iddo the visionary of genealogies? Here's her conclusion. Hope you can access the article - no idea what the Globe's access rules are. Why are so many home-grown young Muslims (as well as a few converts) attracted to such a virulent form of faith? The common liberal answer is because they feel excluded. That answer strikes me as pathetically inadequate. A better answer would include a quest for meaning and purpose in a secular, postmodern world, and the attraction of an absolutist faith that offers certainty, structure and a chance for martyrdom and glory. I think she's pointing somewhere potentially useful. Meaning, identity, purpose, faith... Hold off on the martyrdom for a minute, but glory? Yes - glory is good but not adequate if only for one's self. Then it is called something else, like self-importance. Secularism's ultimate is social engineering versus profit, and self-protection versus the homeless other. These will not do as solutions. What will we do for policy and where will we get the power to do it? If we agree with the peaceable kingdom, everyone beneath a vine and fig tree and living at peace and unafraid, and they will not hurt nor destroy on all my holy hill, etc, then we do need to pay attention to social engineering and good bureaucratic policy, but we need to be willing to pay and payment does not come from money here, it comes from a human spirit moved by something other than the secular. The secular idea has reestablished the sacred but refused to embrace it. So 'church' should stay out of 'politics'. Or the traditional sacred can no longer be practiced because the beauty it once knew has been exploited to the point of obliteration. The secular either exploits the unique, or it attempts to push the sacred back into its own space as if the invisible God who was present in the temple and tabernacle, a marriage canopy, can be pushed back in when the veil is torn. There's no image to push back into the empty place. The holiness has escaped and infected everything. The secular is empty. 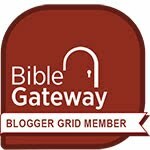 Do I think there is an alternative that is not simply a competing image of God? Yes - but it is not easy to express. The care for the other, the poor and marginalized, is a start. But the question is - where does the power come from to continue? What stands against our very natural need for self-protection and self-importance? We are important. According to the Abrahamic traditions, every one of us and all of us together are created in the image and likeness of God, the ultimate Other. This might be a start to understanding and experiencing a power greater than our own needs. According to my reading of the Old Testament, doing the right thing (thanks for the great movie title, Spike Lee) calls us beyond narrow interests. If I am searching for anything, it is how to give oneself at the right time and in the right place, in part, for the benefit of the 'other' who is in my midst. There is a time to give and a time to refrain from giving. How do we 'know'? I know no other way than to invite trust in the Invisible ultimate. As one raised in Christianity, in spite of its appalling tendency to crucify everyone and everything in sight, including its own policies, the psychological reality of the self-giving of the Anointed Jesus for the life of the world, is a very powerful image and in my experience, it is a stronger power than our own self-centredness. Does this result in radicalization also? It sure can. But it can also result in love of the other, and the Other. The love is costly. The love is radical. The message has been the same in all time. The Old Testament has, yes Virginia, the same message as the New. There is a fully human example of how to govern and of how not to govern, there are a myriad of stories in these books. We just need to figure out which is which, which is the good example to follow and which examples are not to be followed. And - it's not that difficult. If you are any kind of systems thinker, you will have realized that all systems are incomplete and provably so. So let your mind ponder the Ultimate that cannot be defined but that allows love to emerge. Then you and I might know martyrdom in its original sense: a witness to something useful and lovely. And our deaths might be minuscule, things we can survive and learn from, steps on the way to glory, ascending to the temple that is without images but in which we will see something more than visions of sugarplums. (Gotta get a Christmas theme in here somehow). If nothing belongs to a single department any more, should we still rely on traditional line departments to come up with policy proposals and deliver public services? Should government have self-governing delivery arms tied to policy centres led by ministers? If government departments and agencies cannot retain revenues or their budget, how can we expect them to remain frugal? How can we streamline accountability requirements? How can we isolate, at least some government operations, so that missteps become lessons learned for managers rather than “gotcha” fodder for the blame game? How can we improve relations between ministers and the public service, government and Parliament? The secular alone will fail, just as business alone fails (yes it fails because in its wake is the destruction of the other, whether these be the earth, the disadvantaged, or the exploited). The secular infected by the sacred, the Unknown and in some sense provably Unknowable, has possibilities that in every generation remain untried in full. Our new PM said he trusted us. How will we respond - as the aged, as the young, as business leaders, as bureaucrats, - all of us together thinking together out of the boxes of our biases toward mere self-protection. Then we will begin to understand economy - the reality of the household that Canada can be. It strikes me that there are many categories of instruction, far more than the moral and the ceremonial. Even in our own culture we have regulations, policies, rules, written and unwritten, conventions, traditions, and also laws of many different types. We don't think of law as instruction, but it is also that. Torah comes from a word meaning throw, cast or shoot. The net could be cast quite wide for a set of things for which Torah is used in Scripture. It's not all 'law' in the sense of legal or ethical. The first part of Numbers 6 seems very like the orderly regulations of a procedure manual. I suspect too some technical terms that may have to change from this first foray these regulations about Nazirites (נזר nzr). 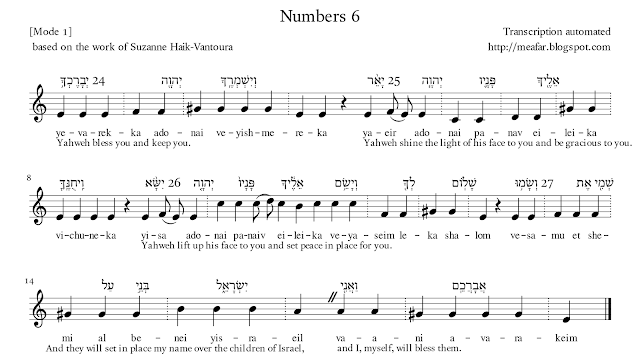 At the end of these regulations is the priestly prayer, one of the more famous passages of Tanach, a prayer that may be reflected in Psalm 67 as shown in the following table. 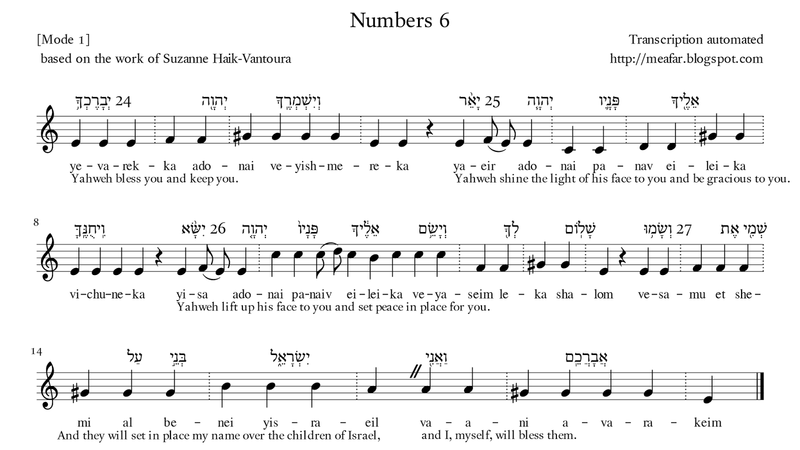 Verse 2 of Psalm 67 uses four of the words of the blessing. The table also highlights the frame of Psalm 67, the keyword, bless, that begins and ends it. The blessing has no rest mid-verse, no atenach. בְּי֗וֹם מְלֹאת֙ יְמֵ֣י נִזְר֔וֹ יָבִ֣יא אֹת֔וֹ אֶל־פֶּ֖תַח אֹ֥הֶל מוֹעֵֽד 13 And this is the instruction for a Nazirite. וְאַחַ֛ר יִשְׁתֶּ֥ה הַנָּזִ֖יר יָֽיִן 20 And the priest will elevate them a wave offering in the presence of Yahweh. It is holy for the priest over the torso of the wave offering and over the leg of the contribution. כְּפִ֤י נִדְרוֹ֙ אֲשֶׁ֣ר יִדֹּ֔ר כֵּ֣ן יַעֲשֶׂ֔ה עַ֖ל תּוֹרַ֥ת נִזְרֽוֹ 21 B This is the instruction for a Nazirite who has vowed its oblation for Yahweh per its consecration besides what its hand will afford.